Illness does not occur without cause. Underlying causes of disease must be discovered and removed or treated before a person can recover completely from illness. Symptoms express the body's attempt to heal, but are not the cause of disease. Symptoms, therefore, should not be suppressed by treatment. 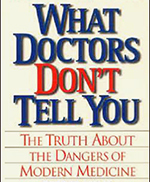 Physicians and surgeons palliate symptoms instead of removing causes. The elimination of the symptom is not the same as elimination of the disease. In allopathic medicine a symptom is usually thought of as the patient's real disease and the goal is to hold back, decrease or eliminate this symptom. This is often done without addressing the underlying cause and does not promote a cure. 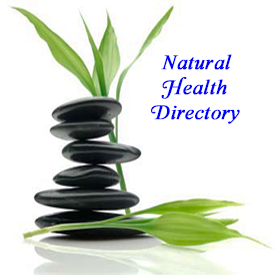 The naturopathic physician seeks to treat the causes of disease, rather than to merely eliminate or suppress symptoms. 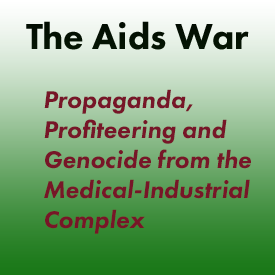 Also See: Pharmaceutical Industry, AMA and FDA Endangering Your Health for Profit! "When there is enough wrong with people to produce discomfort of mind or body, they seek relief instead of seeking for and removing cause. Physicians and surgeons palliate symptoms instead of removing causes. Our human body has survived these thousands of years because of its incredible adaptive capabilities, and one of the ways that it adapts is through the creation of symptoms. Whether it be through fever and inflammation, cough and expectoration, nausea and vomiting, fainting and comatose states, and even the variety of emotional and mental states, each symptom represents the best efforts of the body, and mind in its effort to fight infection and/or adapt to physical and psychological stresses.
" Whenever possible, suppression of symptoms is avoided, as this may interfere with the healing process. Tolle Causam MD (Identify and Treat the Cause). Illness does not occur without cause and symptoms (nausea, rash, headache) are not the cause. Health is not the absence of disease. Health is a universal good condition on all levels--physical, emotional and mental. Disease or "dis-ease" is defined as a lack of health. Disease results when any cell is not functioning 100% of its designed duty whether due to trauma, toxicity, lack of communication or a combination thereof. 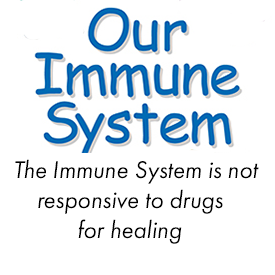 A Holistic health care practitioner will not want to suppress symptoms unless they view it to be absolutely necessary, because those symptoms are a sign the immune system is working, and doing its job. 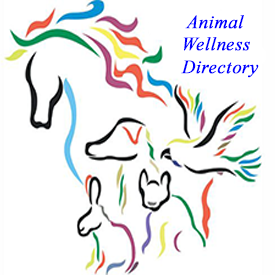 Holistic remedies may include a change in diet, vitamins and supplements to provide needed extra or missing nutrients or herbal remedies like Milk Thistle to assist the liver with cleansing toxins from the body. If your tooth hurts and we inject a local anesthetic, the pain goes away but that does not mean the problem is gone! If we use medications to suppress these symptoms then the vital force tries to create new symptoms to compensate for the imbalance that is still there. If the vital force is strong then the original symptom may return. Otherwise, it may be unable to express on the same level and create a symptom that is more interior and could be much worse per Dr. Hering's Law. 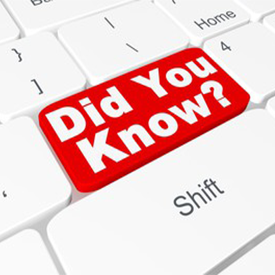 One example is a skin rash that is treated with cortisone. The rash and itching will probably go away quickly. Later the patient begins to exhibit liver problems that "were caused by the cortisone". The liver symptoms are actually an expression of this suppressed imbalance on a deeper more interior level. Many things can be suppressive. 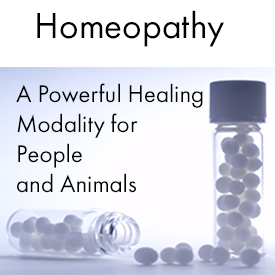 Vaccines and allopathic medications are a major source of suppression where homeopathy is concerned, but herbs, acupuncture and incorrect homeopathic remedies can also be suppressive." 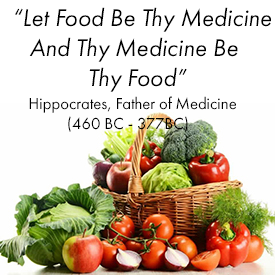 Hippocrates, Greek physician (460 BC - 377 BC). Disease is nothing more than the body responding to the wrong we have done to it. It is the body's attempt at keeping us alive in response to the wrongs we have inflicted on our bodies. Pathological changes are the cell's response to stress. These changes or compensations allow the body to survive - maintain homeostasis - as long as the stress continues. These tissue changes which result in disease, are the outward manifestation of internal compensation to stress. Until the cause is removed, the condition will remain in one form or another. "You cannot poison your body into health with drugs, chemo or radiation. 'Health' can only be achieved with healthful living." Herbert Shelton MD - "Why do we expect to get well in a hurry of a condition that requires a life-time for its development? Perhaps one is fifty years of age and has had a chronic disease since the age of thirty-five, the condition slowly becoming worse during this time, despite (or because of) the faithful employment of the commonly administered means of palliation. Before the disease became apparent at the age of thirty-five, there was a long antecedent series of developments that led up to the disease." There are obstacles, barriers and impediments to healing. Failing to consider obstacles to healing is possibly the most under-considered and neglected aspect to getting well. Not considering these obstacles sets us up to have potential cures fail, even those that are the most perfect and effective treatments, those that are most perfectly programmed to all our healing needs. Healing isn't always simple, easy, painless or automatic. 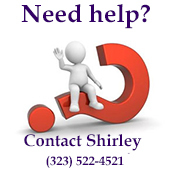 Problems arise from many factors of which you are likely not aware. "Autogenous self-generated poisoning is what we call Toxemia." Natural Hygiene holds that the one cause of all disease is the toxic saturation at the cellular level of the bodily tissues, bloodstream, and fluids brought on by the depletion of Nerve Energy reserves through wrong living habits. This state of self-poisioning is alternately termed "Auto-Intoxication," "Toxicosis," and "Toxemia." There is really only one disease of the body. It is called Toxemia. Many doctors of natural hygiene have proven this in their work, but common knowledge of the way the body works, along with common sense, will also support this statement. In his book "Toxemia Explained" Dr. John Tilden explains the definition of Toxemia as natures effort to eliminate toxins from the blood. Detoxification comes in many forms and refers to many different programs that cleanse the body of toxins. Today, our environment is toxic and the foods we eat, even the air we breathe and the water we drink is laden with chemicals foreign to our system. 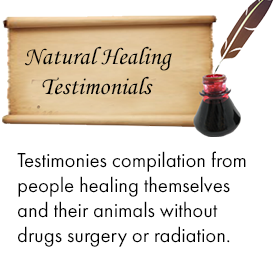 Therefore, everyone is undergoing some type of detoxification to maintain life and health. Although basic detoxification begins with diet, detox programs may include nutritional fortification for the liver, lungs, kidneys, bowels and blood. We will soon see why these organs are so important in detoxification. 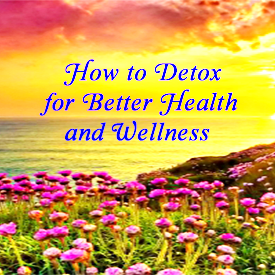 Detoxification for the body may refer to the cleansing of the bowels, kidneys, lungs, the liver or the blood, since these are the organs involved in detoxification of chemicals and toxins from the body. The liver acts as an in-line filter for the removal of foreign substances and wastes from the blood. The kidneys filter wastes from the blood into the urine, while the lungs remove volatile gases as we breathe. The healing process usually does not occur without repercussions. During the initial phase of healing, as your body begins to clean house, (detoxify) and your vital energy begins to repair and rebuild internal organs, you may experience headache, uneasiness, flu like symptoms and fatigue. It is important that you adequately rest during this time. These symptoms will pass as your body begins to normalize to a new level of health. As you continue to improve, you may begin a process called retracing.You may feel worse before you feel better. For example, if you used to get skin rashes, the rashes may reappear or get worse for a period of time as your body eliminates toxins through the skin. You may also experience an initial increase in urination, or you may feel more nervous. In actuality, you are not getting worse, you are actually getting better. Eventually you will reach a plateau of better health. During the healing crisis, it is important to not suppress these temporary symptoms with drugs or the healing process may become interrupted. The body has an inherent desire for perfect health. We have the ability to earn our way back to that state, no matter how "normal" or bad our health is now. 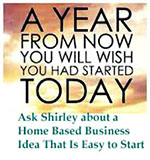 But in the meantime, the body must go through an elimination process to achieve good health. 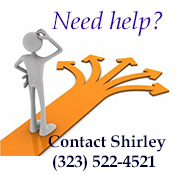 The elimination process is often referred to as the "healing crisis." Once the healing crisis starts, reactions may be mild or severe. Expect ups and downs as it takes awhile to get good health back. In a healing crisis, every body system works together to eliminate waste products and set the stage for regeneration. Old tissues are replaced with new. 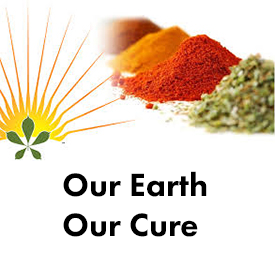 A disease occurs when the body cannot make it through its natural healing crises for one reason or another. The body is "locked" into a destructive and shut down place, physically, emotionally, mentally, and spiritually. Symptoms of the healing crisis may at first be identical to the disease it is meant to heal. But there is an important difference: elimination. A cleansing, purifying process is underway and stored wastes are in a free-flowing state. The body, mind, and spirit are no longer "locked." Sometimes pain and symptoms during the healing crisis are more intense than that of the chronic disease, but it is temporary and necessary. Your body needs juices, and especially water to help carry off the toxins. This is a time for rest. Be kind to yourself --- mentally, emotionally, and of course physically. One crisis is not always enough for a complete cure. The person in a chronic "locked" disease state will often have to go through cycles of healing crises, with each one improving the condition some. It has taken time to develop a chronically diseased state, and time is required to let go of the "locked" energy, piece by piece. It's like peeling the layers off an onion. The reversal process is another part of the healing crisis. It is necessary to revisit each step the body has been through that brought it to its current state of dis-ease. 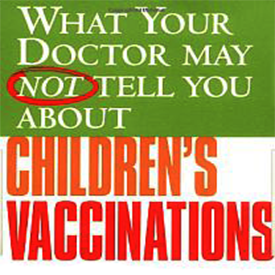 People learn from an early age that symptoms are bad and should be stopped or suppressed. They take all kinds of drugs to stop their bodies from eliminating catarrah and waste. This is very confusing to the body! Mucus production is the body's perfect mechanism for taking out the garbage! 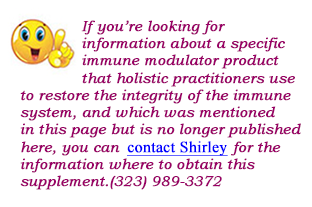 If that process is suppressed, the immune system is compromised and the next time it doesn't work quite so well. In the Hering’s Law of Cure, the healing occurs in a consistent pattern. The body has it's own memory and it remembers all the injuries and all the times it was suppressed. In the reversal process these memories are brought to light in reverse order from which they happened and people re-experience illnesses and traumas in a phenomenon known as retracing. The difference this time is that the symptoms come and go quickly and there is an underlying sense that the whole process is not threatening, that it is natural and health promoting. 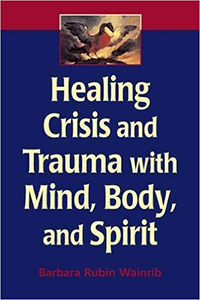 The healthy changes people feel after a healing crises remain as long as a health supportive lifestyle is embraced, as long as one continues to honor the remarkable and extraordinary intelligence of the body. Give the body what it needs to constantly create strong new tissue and the reward will be wonderful health and vitality. 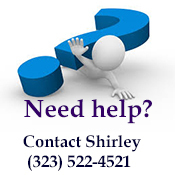 Shirley's healing crisis experience: "I suffered from severe eczema since I was one year old. When I was 17, the doctor prescribed cortisone to suppress the symptoms of eczema. Over the next few years, I suffered severe side effects from that drug. My overall health was going downhill fast. My immune system was blown out. 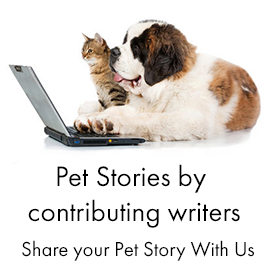 I suffered numerous infections which didn't even respond to antibiotics. In my early thirties I began homeopathic treatments, changed my diet, and supported my immune system with nutritional supplements and a unique immune modulator supplement. I experienced immediate improvement in my overall health - infections, depression, back pain and other symptoms cleared up - but my skin condition worsened dramatically. That was my healing crisis. According to Dr. Hering (Hering's law of cure) the healing occurs from the inside out, meaning that toxins are excreted through the skin. This is especially true when the liver, kidneys and lungs have been impaired to some degree. Because of the huge amount of cortisone I took for 9 years, the healing crisis was severe and lengthy. But the results made it all worthwhile: optimum health and a beautiful, healthy skin. Here's the detailed story of my journey into health." The Herxheimer Reaction occurs when the body is detoxifying too rapidly and toxins are being released faster than the body can eliminate them. When this occurs, one will suffer from headaches, nausea, vomiting, and malaise. Even though this is but a short period of the health program, it can be severe and deter one from reaching their intended goals. Also, the person may not know what they are experiencing and think that they are regressing. TakeTake detox clay baths. I also use montmorillonite clay in my drinking water daily to detox. If tIf the Herxheimer reaction occurs, cut back on your health detoxification program. 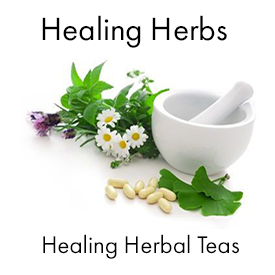 Reduce the dose of herbs and follow the above outline to reduce the symptoms of toxin elimination. The more toxins there are to eliminate, the sicker one is when they come out. Generally, one will feel better when all is over and health is restored again. Just remember, don’t give up. Herxheimer reaction is also known as a healing crisis. 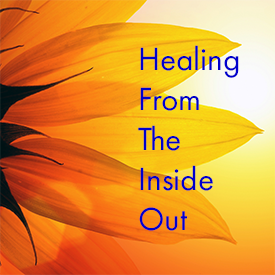 There are symptoms during a healing crisis that may be confused with illness but the difference is that these symptoms are short in duration and move from one part of the body to another, from inside out and from top to bottom. There is usually a lack of appetite and may be a fever. In Hering’s Law of Cure, healing occurs in a consistent pattern Illness is a very different scenario where one or more of the organs are not working well, causing toxic build up of waste material that can't get out. There is fear during illness, a feeling of being out of control as opposed to the prevailing feeling during a healing crisis that underneath all the symptomology everything is working just the way it should and everything is really OK. The reversal process is another part of the healing crisis. It is necessary to revisit each step the body has been through that brought it to its current state of dis-ease. 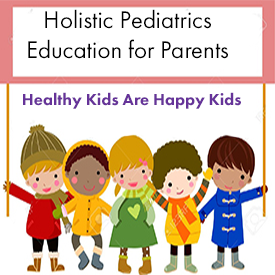 People learn from an early age that symptoms are bad and should be stopped or suppressed. 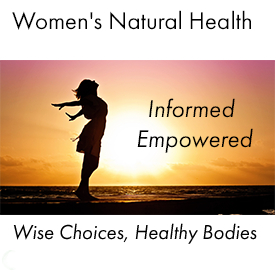 If I were asked which is the greatest misunderstanding and confusion in the field of nutrition, I would respond, "to properly understand and interpret the symptoms and changes that follow the beginnings of a better nutritional program - (A healing crisis)"
Now, what happens when a person follows the rules and makes a decided improvement in the quality of food consumed? Remarkable things begin to happen to the body as well as the mind. The amazing intelligence present in every cell of the body and the wisdom of the body in its operation immediately becomes manifest. The rule may be stated thus: When the quality of food coming into the body is of higher quality than the tissue that the body is made of, the body begins to discard the lower grade materials and tissues and makes room for the superior materials that make new and healthier tissue. What are the symptoms or signs that become evident when we first begin to omit the lower grade food and instead introduce superior foods-those that are more alive, more natural than those we are accustomed to? When the use of toxic stimulants such as coffee, tea, chocolate or cocoa is suddenly stopped, headaches are common, and a letdown (healing crisis) occurs. This is due to the discard by the body, of toxins called caffeine and theobromine, which are removed from the tissues and transported through the blood stream during its many bodily rounds. Before the toxins agents reach their final destination for elimination, these irritants register in our consciousness as pain-in other words, headache. This initial letdown (healing crisis) lasts about ten days or slightly longer, and is followed by an increase of strength, a feeling of diminishing stress and great well-being. Now, let us return to the symptoms that occur in the process of regeneration. The person who starts a better diet, stays on it for three days to a week and then quits, will say, "Oh, I felt better on the old diet - the new one makes me feel weak". He failed because he did not give his body a chance to adjust and complete its first phase of action, recuperation. If he had waited a while longer, he would have begun to feel better than before he started. During this initial phase (lasting about ten days on the average, to several weeks in others), the vital energies that are usually in the periphery or external parts of the body, such as the muscles and skin, begin to move to the vital internal organs and start reconstruction. This shunting of much of the power to the internal region produces a feeling of less energy in the muscles, which the mind interprets as some weakness. Actually power is increased, but most of it is being used for rebuilding the more important organs, and less of it is available for muscular work. Any weakness that is felt here is not a true weakness, but merely a redeployment of forces to the more important internal parts. Here it is important for the person to stop wasting energy, and rest and sleep more. This is a crucial phase, and if the person resorts to stimulants of any kind, he will abort and defeat the regeneration intent of the body. It is important that he have patience and just wait it out and after awhile he will get an increasing strength that will exceed what he felt before he began the new program. Success in recovery or improvement of health hinges upon the correct understanding of this point - realizing that the body is using its main energies in more important internal work and not wasting it in external work involving muscle movements. Be wise - take it easy and relax. Just coast in your work and social obligations until you are out of the woods. As one continues on the improved diet and gradually raises the food quality, interesting symptoms begin to appear. The body begins a process called "retracing". The cellular intelligence reasons something like this "Oh! Look at all those fine materials coming in. How wonderful - now we have a chance to get rid of this old garbage and build a beautiful new house. Let us get started immediately. Let us get this excess bile out of the liver and gall bladder and send it to the intestines for elimination. Let us get this sludge moving out of the arteries, veins and capillaries. These smelly, gassy, brain-stupefying masses have been here too long- out with them! These arthritic deposits on the joints need cleaning up. Let us get these irritating food preservatives such as aspirins, sleeping pills and drugs out of the way, along with these other masses of fat that have made life so burdensome for us for so long." During the first phase of the healing crisis (called catabolism), the accent is on elimination or breaking down of tissue. The body begins to clean house - in short, to remove the garbage deposited in all the tissues. Wastes are discarded more rapidly and new tissue is made from the new food. This becomes evident as weight loss. This persists for a while then is followed by the second phase-stabilization. Here the weight remains more or less stable. During this phase, the amount of waste material being discarded daily is equal to the amount of tissue that is being formed and replaced by the newer, more vital food. This occurs after the excess of obstructing material in the tissues has been removed. This stage persists for a while and is then followed by a third phase - a build up period (called anabolism), wherein weight starts to go even though the diet is lower in calories than it was before. At this point, much or more of the interfering wastes have been discarded. Returning to the symptoms that occur on a superior nutritional program - people who have had tendencies in the past to recurring skin rashes or eruptions will frequently tend to eliminate poisons and harmful drugs through the skin with new rashes and eruptions. If they go to a doctor now who is not familiar with this aspect of nutrition, he will diagnose it as an allergy. They ask, "How come I am eating better than I ever did before and instead I'm getting worse?" They don't understand that the body is "retracing" The skin is getting more alive and active. It is throwing out more poisons more rapidly. Headaches may occur at the beginning, fever and/or colds may also appear, the skin may break out, there may be a short interval of bowel sluggishness, diarrhea, feeling of tiredness and weakness, disinclination to exercise, nervousness, stress, anxietay, irritability, negativity, mental depression, frequent urination, etc. However the great majority of people find their reactions tolerable and are encouraged to bear with them. With some, colds that have not appeared for a long time may occur, or even fevers. Understand that these actions are constructive, even though unpleasant at the moment. Do not try to stop these symptoms by the use of certain drugs. These symptoms are part of a curing process; so don't try to cure a cure. These are NOT deficiency problems or allergic manifestations. Do not expect to go on an ascending scale of quality. Do not expect that improving your diet will make you feel better and better each day until you reach perfection. The body is cyclical in nature. And health returns in a series of gradually diminishing cycles. For example, you may start a better diet and for a while you feel much better. After some time, a symptom occurs - you may feel nauseous for a day and have diarrhea with a foul smelling stool. After a day, you feel better than ever before, and all goes fine for a while. Then you suddenly develop a cold, feel chills, and lose your appetite. After about two or three days (assuming you do not take drugs or do anything else about it), you suddenly develop an itch or rash. You still do not take anything special for it. This rash flares up, gets worse, and continues for ten days, and immediately subsides. Immediately after this, you find your hepatitis is gone and your energy has increased more than ever before. The rash became an outlet for the poisons in the liver, which produced the hepatitis. This is how recovery occurs. You recover and go even higher. And so it goes - each reaction milder than the last as the body becomes purer, each becoming shorter in duration and being followed by a longer and longer period of feeling better than ever before, until you reach a level plateau of vibrant health. Let us give ourselves, through our "healing crisis" a chance to experience what it means to be really healthy and fully alive. 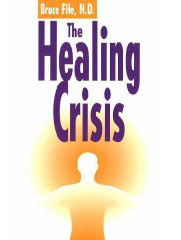 Related: Healing Crisis By Dr Stanley Bass, N.D. D.C. Ph.D. Sadly, most conventional medical doctors treat each symptom as a unique and unconnected phenomenon. A person's skin rash generally would be treated with cortisone, thus suppressing it,and, possibly, reactivating the person's asthma. The mentally ill person's new physical symptom is also suppressed, leading to a relapse of the mental illness. As you begin to change your diet and supplement your diet with our exclusive health-building products, positive changes begin to happen within your body. The ideal reaction is the gradual development of an increased sense of well-being. At first you will notice that you do not tire so easily. You will have more sustained energy during the day, and you will not become tired so early in the evening. As sense of well-being increases, you may begin to feel more emotionally and psychologically secure. Little things do not bother you as they once did. Your old patterns will begin to change from "grumpy" ones to "happy" ones. However, in a significant minority, a number of uncomfortable reactions may occur as you begin to physiologically balance your body chemistry and revitalize your immune system through the support of cellular communication. It is not easy for your body to adjust overnight to a long history of inappropriate diet. The longer the deficiencies have existed, the more prevalent the response is likely to be. Corrective responses that may occur are associated with: fever, rash or hives, excessive gas, runny nose, headaches, insomnia, increased thirst, weakness, lethargy, loss of appetite, nausea, diarrhea, fever blisters, dry mouth, canker sores, constipation, dizziness, nervousness, and various body aches and pains in joints and muscles. When these reactions occur, you can be assured your body is making positive changes toward an improved state of health. If you recognize these as the cleansing response, it will be easier to accept them as steps on the road to better health. These conditions are a small price to pay for long-lasting benefits. The human body has an amazing cleansing system for eliminating toxins that accumulate in the body. This system can also become inefficient and allow toxins to build up and be stored, especially in body fat, rather than be eliminated. Once this natural cleansing system begins to work more efficiently, reactions can occur. These reactions result from the stored toxins begin released faster than the liver, kidneys, skin and lungs can remove them from the body. These reactions can include loss of appetite, nausea, headaches and swelling in various lymph glands throughout the body. These reactions can be caused by a deficiency of hydrochloric acid in the stomach and/or by dysfunctional or exhausted liver and adrenal glands. An allergic-type reaction can include skin rashes and shortness of breath. 1. Attempt to drink at least one half your body weight in ounces of water, or a combination of fruit and vegetable juices, per day. This will help flush out the toxins and support the cleansing of the kidneys. 2. Increase your intake of fruits, vegetables, and bran from cereals. This can help accelerate the removal of toxins of any type. 3. Include an activity component in your daily routine. Walking for 15 minutes is a good place to start. Exercise is another good way to support detoxification. If the reaction is too strong for you to tolerate, you can reduce or even discontinue the supplements for a couple of days, and then gradually build back up to the recommended amounts. ? This routine may need to be repeated, depending on the depleted condition of your body and the amount of repair needed at the cellular level.